Little-Known Facts About Black History, Culture, Inventions, and More! Sarah Rector was born in 1902 in Taft, Oklahoma. She came from very humble beginnings, but later became the wealthiest Black girl in the country at the young age of 11. Her family were African American members of the Muscogee Creek Nation in Indian Territory. Her grandparents had been enslaved by Creek Tribe members, but after the Civil War, they were entitled to land allotments under the Dawes Allotment Act of 1887. When Indian territory integrated with Oklahoma territory to form the state of Oklahoma in 1907, hundreds of Black children referred to back then as “Creek Freedmen minors,” were each granted 160 acres of land. Rector's allotment was located in the middle of the Glenn Pool oil field and was initially valued at about $550. In 1911, her father decided to lease his daughter’s piece of land to a major oil company to help pay for the property taxes. And then in 1913, everything changed. 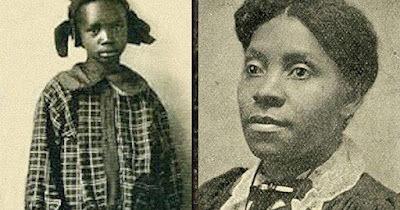 According to Searching for Sarah Rector: The Richest Black Girl in America by Tonya Bolden, an independent driller struck oil that started bringing in 2,500 barrels or 105,000 gallons per day. Rector, still being the owner of the land, began earning more than $300 a day (the equivalent of about $7,500 a day in our time). Rector quickly became famous and naturally started receiving all kinds of request for loans, donations, and even marriage proposals. Sadly though, there was a law at the time that required wealthy Native Americans and African Americans who were citizens of Indian Territory to be assigned a “well-respected” white guardian. As a result, Rector’s guardianship was turned over to a white man named T.J. Porter. But reportedly W.E.B. Du Bois and the NAACP got involved to protect her wealth and well-being, and were able to successfully do so. She later went on to own one of the first Black-owned auto dealerships in the country, and reportedly enjoyed her wealth until the day she died! The Real Betty Boop Was a Black Woman... Before She Was Whitewashed! Beethoven, the Most Famous Classical Musician of All Time, Was... a Black Man!